Tingo the Text Game! 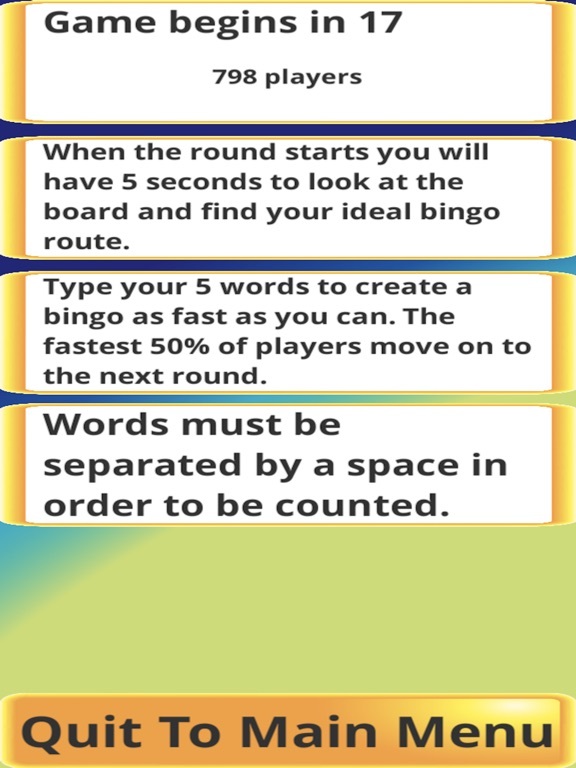 The game where you challenge others to see who can text the 5 words to form a bingo the fastest. Only the top 50% go on. How many rounds will you complete? Gain points and elevate your position on the leaderboard by having the fastest fingers. 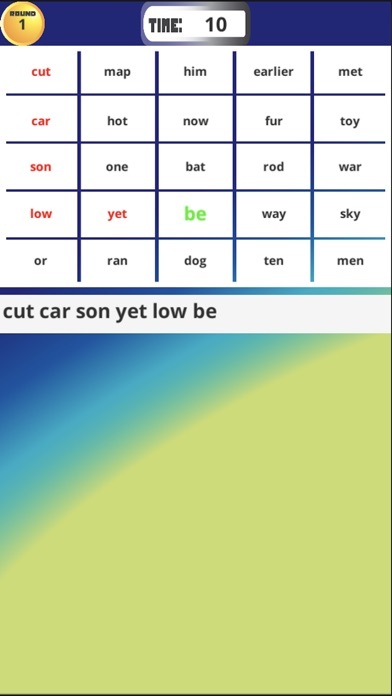 You gain one point for every round you are able to complete. However, you gain more points for winning the entire game! Fixed occasional error in getting round results.